Geoffrey Ford was born in Malvern in 1891, the son of builder and undertaker, Robert Ford and his wife Emily (nee Wake). He was one of three children and grew up in the Cowleigh Road area of the town. In April 1911 the Census recorded that Geoffrey followed his father’s footsteps and was a joiner; however in September of that year he was apprenticed to Heath’s Garage’s Ltd, Birmingham as an apprentice motor driver. Such trades were in short supply in the army, and inducements and favourable rates of pay were given to motor lorry drivers. Geoffrey enlisted in the Army Service Corps at London on 29th October 1914. He joined the Corps at Grove Park, the Mechanical Transport Depot the following day. After a relatively short period of training he was posted to France. He sailed on the ss “Eddistone” from Avonmouth Docks on 14th December and landed at Rouen five days later. 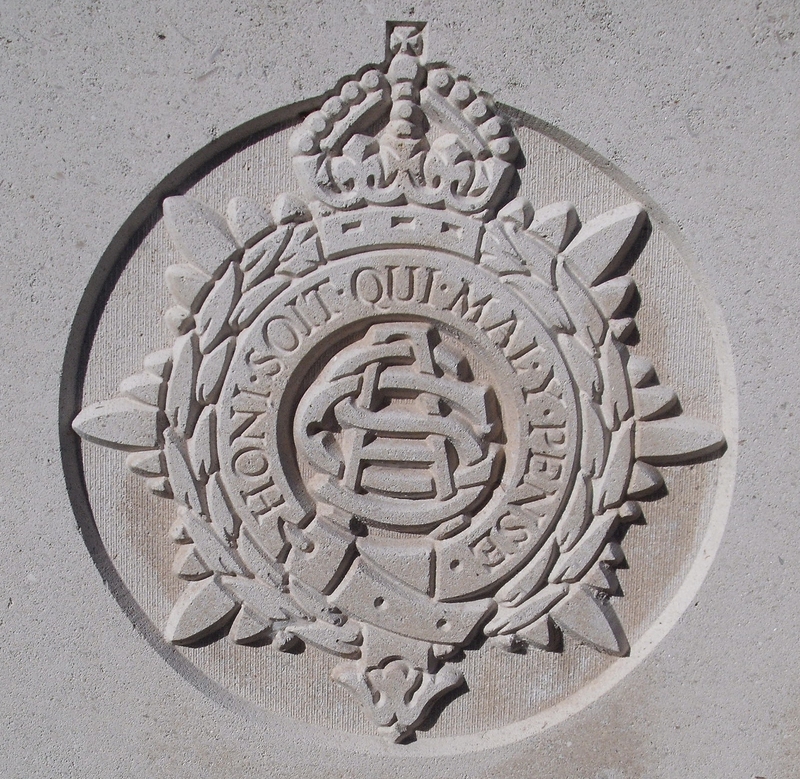 Over the following month he was posted to depots variously at Abbeville, St Omer and Rouen. However at the beginning of February he joined the 3rd Cavalry Division Ammunition Park, responsible for driving ammunition from the railhead to the Divisional Artillery Column, from whence horse power would move the shells to the guns. Geoffrey Ford’s death was recorded in the fourth quarter of 1918 in Malvern and it can only be assumed that he succumbed to his heart condition or related complication. His mother Emily died the following year. War service was considered to have aggravated Geoffrey’s condition and he quite rightly is remembered with honour on the Malvern Library Memorial.